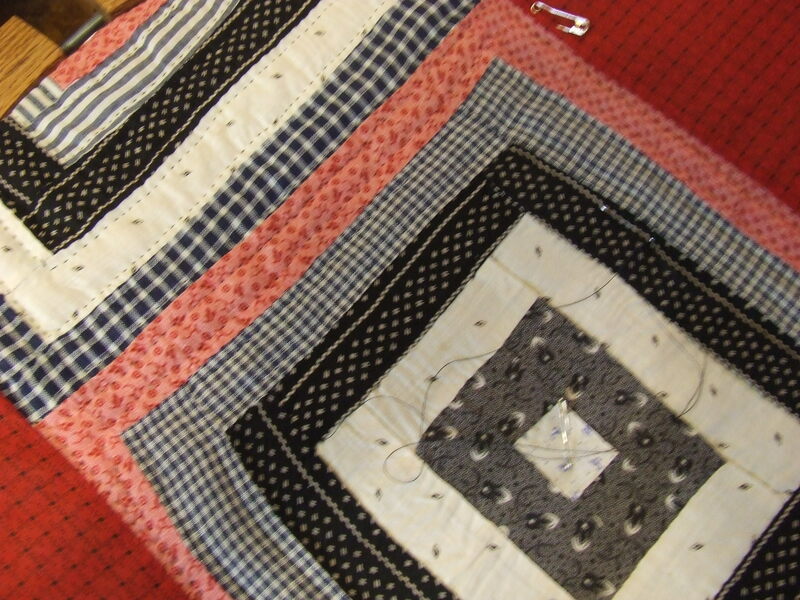 I started to work on my log cabin variation antique. 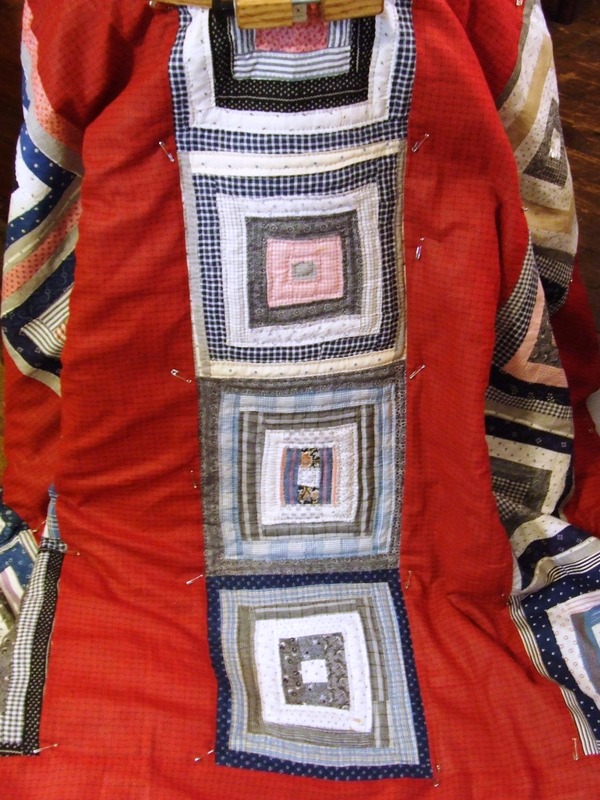 I am doing some simple outline quilting in the pieced blocks, I have not decided what I will do in the red bands, but I will know when I get there. Nothing traditional or uniform or fussy will do…so I will make something up as I go. 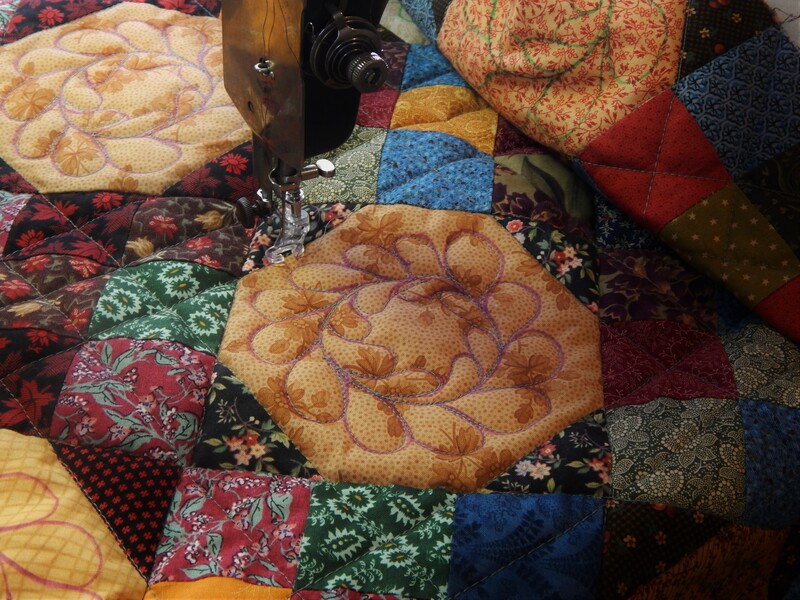 My first quilt was a bird quilt, and I have always been drawn to quilts with embroidered blocks of birds. 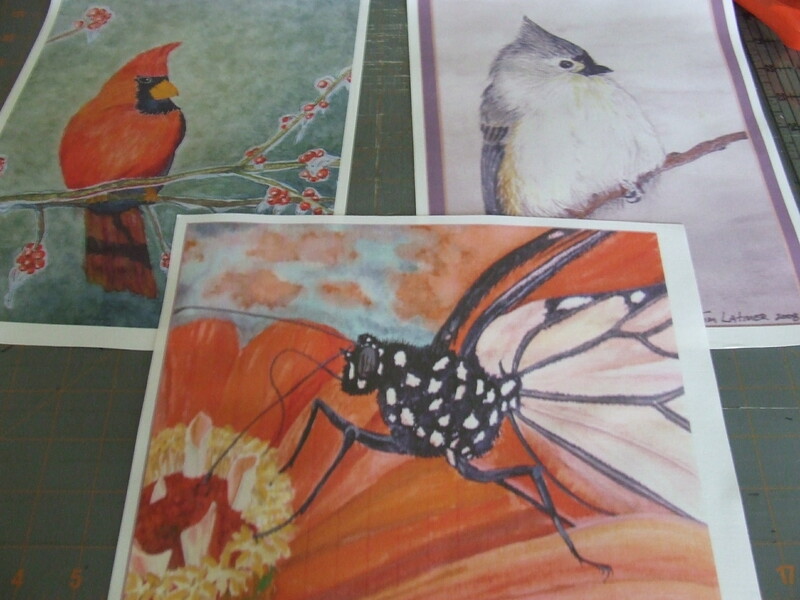 I need to get the birds done and get these in the mail. 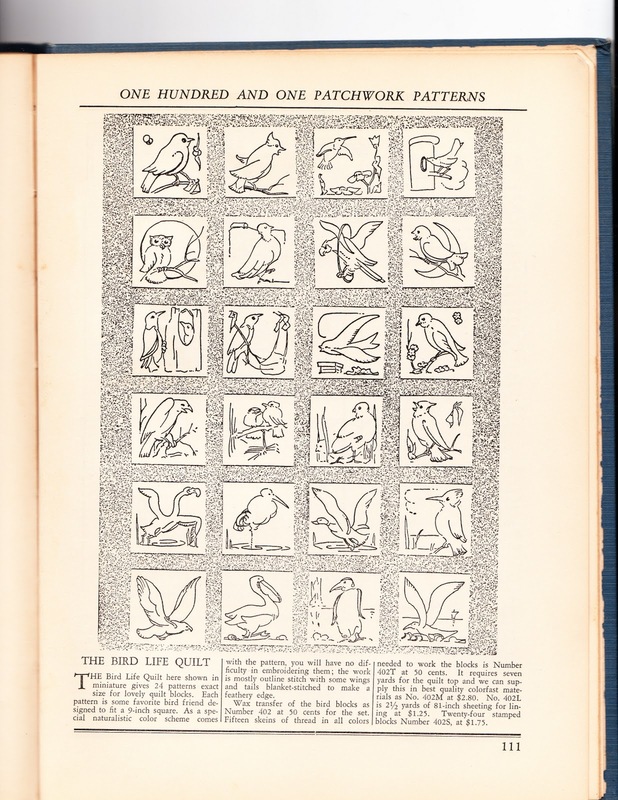 I recently purchased a group of blocks from the Ruby McKim Bird life/Audubon pattern. 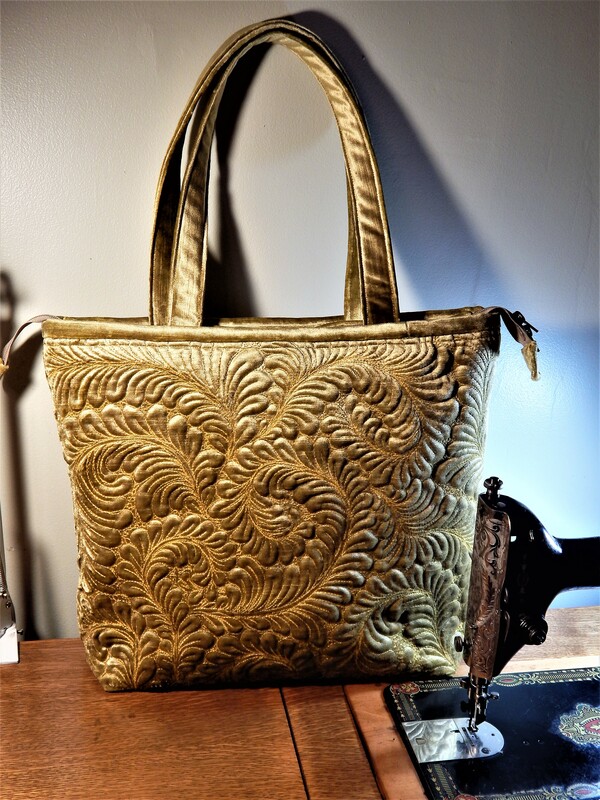 The patterns are available again at the Mckim Studios web site. There were 24 designs, but I only got 18. 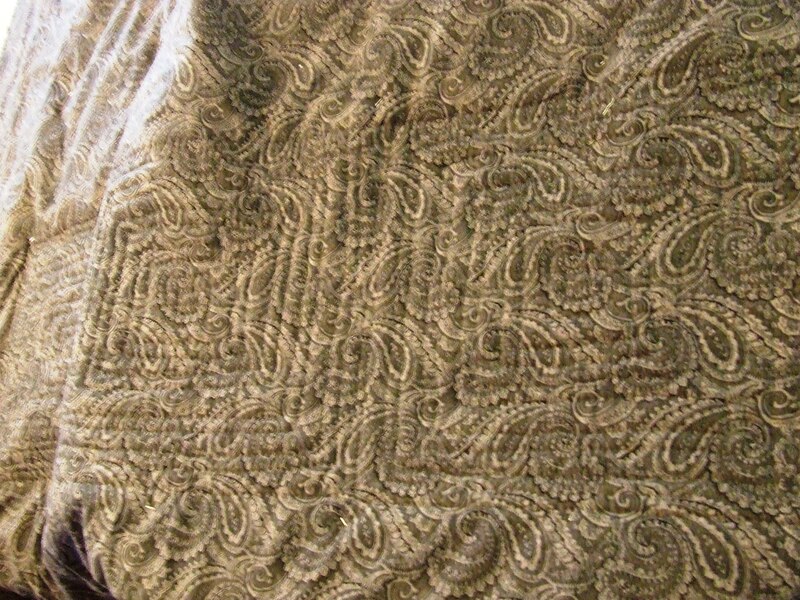 They are very well done and I know they will make the basis for a great quilt. 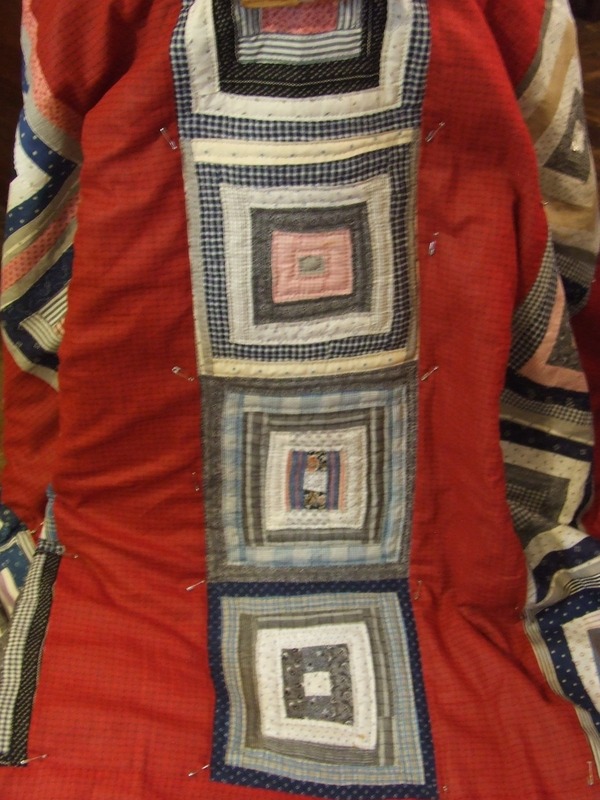 This entry was posted in Quilts and tagged Alzheimer's art quilt initiative, antique quilt, bird quilt, Ruby McKim, vintage quilt. I have been a fan of Ruby Short McKim’s work for years. Started by buying the flower blocks in an antique store years ago. Love that Merrily is reintroducing the patterns. Love what you are doing with the log cabin, I was hoping that was next in line-such an interesting setting. 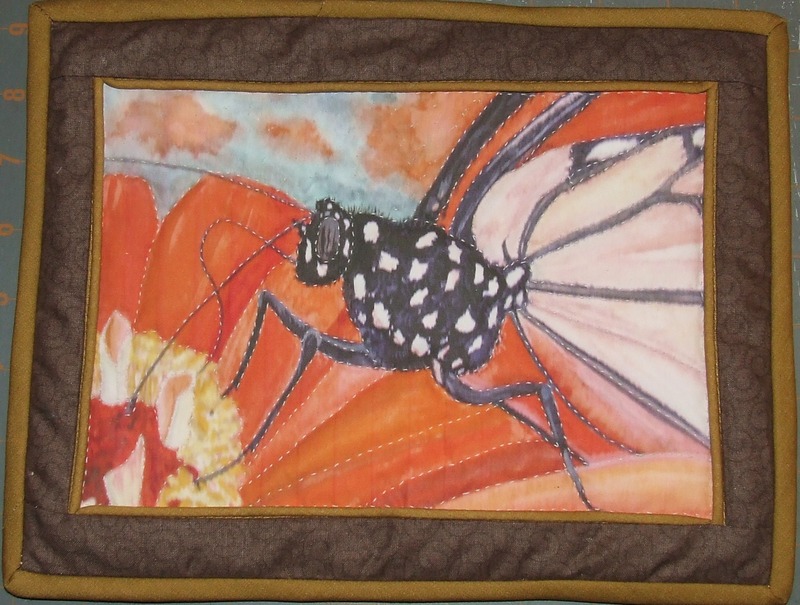 Also love your butterfly block. 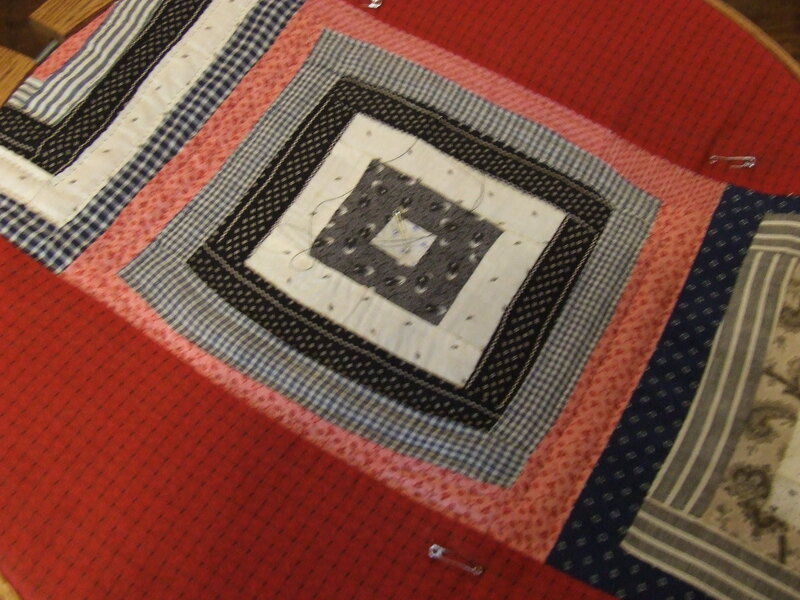 I think your mini quilts from your paintings will do well for AAQI. Good luck! 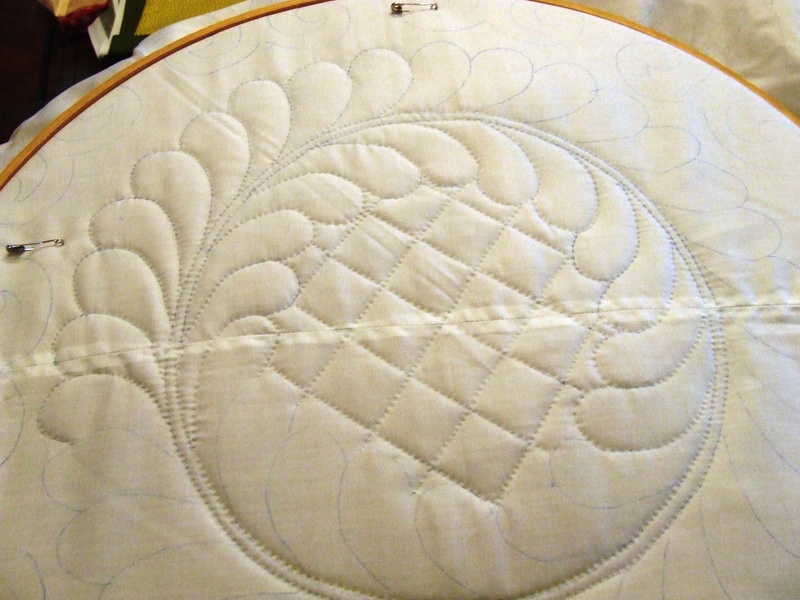 she did a lot of embroidery patterns…the circus one included…and they are all great! Love your bird blocks! Have you seen the free blocks on Martha Stewart’s site? I have them all printed, and they were done in blue and white. Just discovered your blog today, and I really love it! 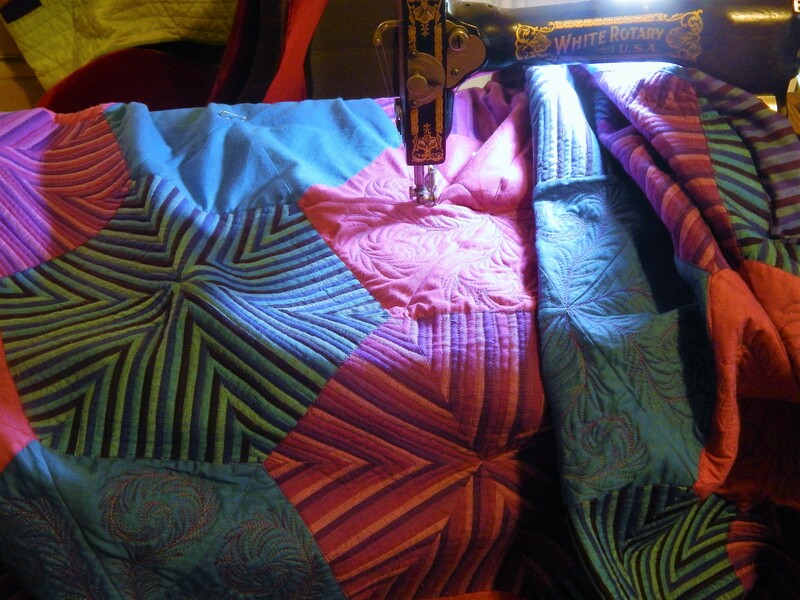 Hand quilting rocks! Those Ruby McKim blocks are making me want to get out the embroidery floss and stitch a few! Those birds are fabulous. I love embroidered blocks, and love them even more when someone else did them!